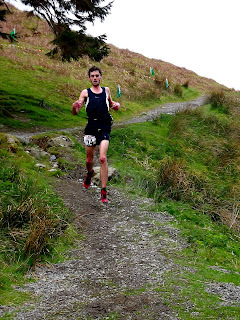 Carl Bell today won the Anniversary Waltz Fell Race in the Newlands Valley near Keswick in a time of 1:33:46. 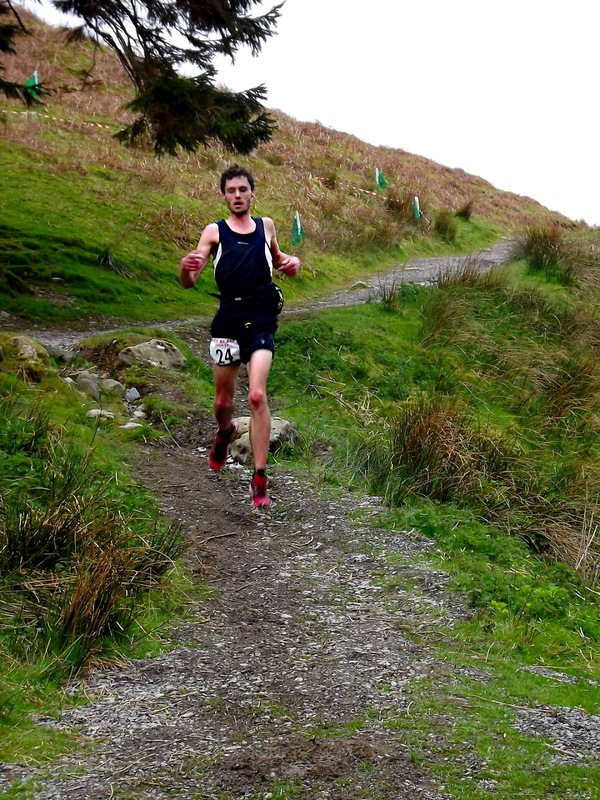 The 11.5miles race (with 3600ft of climb) proved no problem to the Howgill Harrier, leaving our British Ski Mountaineer Silver Medalist Ben Bardsley with another second place. Carl set off fast and led the field along the 3 mile flat track that marks the start of the race. When they hit the first climb (Robinson) expert climber Ben started to close in on Carl. Ben took a direct route up on to the ridge which leads to the top of Robinson while Carl decided to liven the day up with a spot of gully scrambling. Once on the top of Robinson the significant climbs are over and Carl used his speed to seal the deal and beat the man who beat him on the same course in 2011. 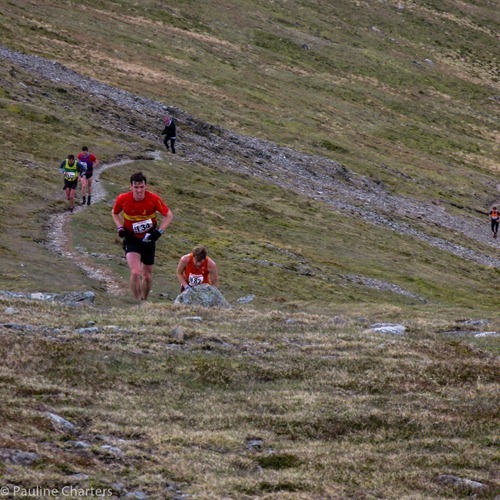 Meanwhile at the longer, tougher, selective but more brutal younger brother, the Teenager with Altitude (15.4 miles, 7600ft). The fight was between the front four. FRB watched the runners go through Hindscarth, about 2 hours into the race and spoke to Scoffer after. FRB - "Hey Scoff - I thought you were going to win that race! You looked strong at Hindscarth and you looked like you knew the way better than Andrew Fallas did." Scoff - "Yeah! It was a really close battle between all four of us and I too thought I was going to win! We were catching Andrew Fallas up on every descent. I was going to let my dog run with me from Dale Head where Sharon was with some water, but as I thought I was in with a chance, I thought I'd better not. Knowing our collie Nell, she'd wander off with another dog and I'd have to go and chase her!" FRB - "So did Andrew Fallas know the route?" Scoff - "Well I was occasionally shouting directions to him from behind but it's not a difficult route to follow, but Andrew was stronger on the climbs and deserved to win"
FRB - "Well bad luck this time Scoff - they'll be another win around the corner. Steve Pyke came through strongly to push you to third though didn't he"
Scoff "Yeah he was jammy!"